I am so excited to be here on Ucreate today. My name is Andrea and I started All Things Bright and Beautiful a couple of years ago with the hope of one day being featured on Ucreate—and here I am! I’m a stay-at-home mom and spend a good amount of my time each day crocheting projects that are bright, modern, and trendy. Some of those projects include blankets, beanies, and toys. 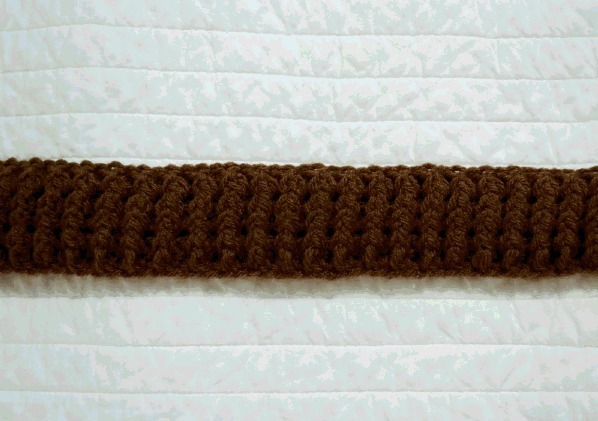 I really want to share my love for crochet with you and get you excited about how fun and easy it is. 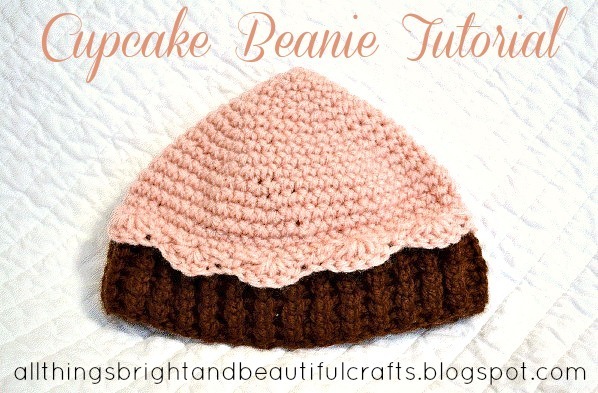 So here is a tutorial of a cupcake beanie I made my little girl for her cupcake-themed 1st birthday party. Note: You will be working in a round on the beanie, so do not turn your work or join rounds. Row 16-18: sc in every stitch around. Row 19(edging): working in the outside loop only, skip 2 sts, 5 dc in st, skip 2 sts, sc, skip 2 sts, 5 dc in st, repeat around and slip stitch to beginning stitch. Fasten off and leave long tail for sewing to bottom part. Note: you can make the frosting part smaller or bigger by taking out the last couple of rows, or make it bigger by adding rows at the end and following in the same pattern (sc in first 14, 2 sc in next st, etc). Note: You will be turning your work and then sewing together at the end. Row 2: Dc in 4th ch from hook and in each st across. Rows 4-6: repeat row 3. Fasten off and leave long tail for sewing sides together. 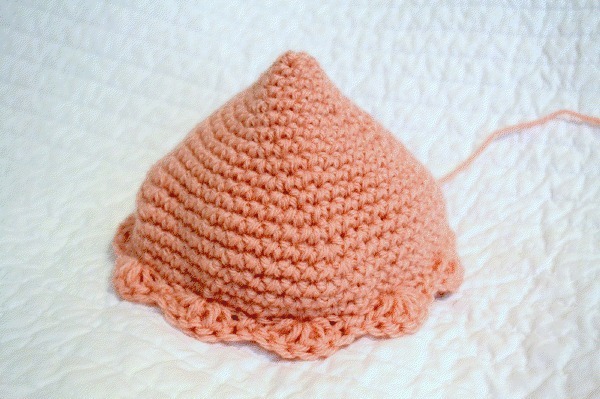 Note: To make this hat smaller or bigger, simply chain less or more at the beginning and follow the rest of the pattern. Once you have both top and bottom finished sew the bottom piece to the frosting top. Sew around evenly through the bottom inside loop of the frosting part to the top of the bottom of the cupcake hat. Note: You can add sprinkles by sewing different colors into the top part of the beanie, or add a cherry on top. Row 1: magic ring 4. Row 4-6: sc in each st around. Fasten off and leave long tail to sew closed and chain 5 for a stem. Check out my blog for more beanie and blanket patterns. You can also find me on Pinterest! If you have any questions about crochet I would be happy to answer them. Thanks Kari for having me! love this!!! so cute…I’m headed over to check her blog right now! Oh…I wish I had the patience to learn how to crochet…so cute! Thank you for sharing this! I crochet chemo caps for the children at my local Children’s Hospital in memory of my son, Logan, who passed away there. The kiddos are going to love this hat!! Thank you!! !